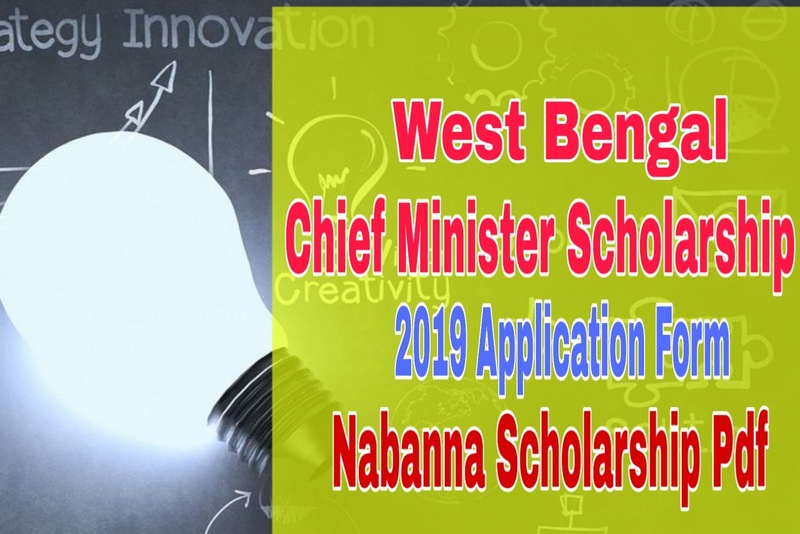 West Bengal Chief Minister Relief Fund Scholarship 2019 Online Apply, Application Date, Last Date and All Details about Chief Minister Scholarship 2019 in here. Download Application form pdf of Chief Minister Scholarship 2019. Know about Chief Minister Scholarship renewal form in short. Get the Last date of Chief Minister Scholarship 2019. Fly through Chief Minister Scholarship Contact Number, Selection list, Eligibility Criteria & More. The government of West Bengal Provides CM Relief Fund Scholarship every year for Madhyamik ( 10th ) and Higher Secondary ( 12th ) Students throughout West Bengal. Chief Minister Scholarship is Given to poor but meritorious students. Chief Minister Scholarship 2019 is given by Govt. of West Bengal. 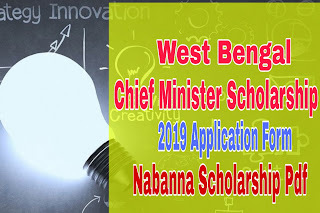 West Bengal Government invites Chief Minister Scholarship 2019 for Madhyamik, HS Passed students all over West Bengal. Eligibility Criteria of This Scholarship are distributed in the below points. Read Carefully for Full info of Chief Minister Relief Fund Scholarship 2019 Eligibility Criteria. 1. Eligible Candidate must be a Permanent West Bengal Resident or staying in West Bengal for more than 15 years. 2. Applicant should have to be a Regular Student of Any Recognize Council by Govt. of West Bengal. 3. 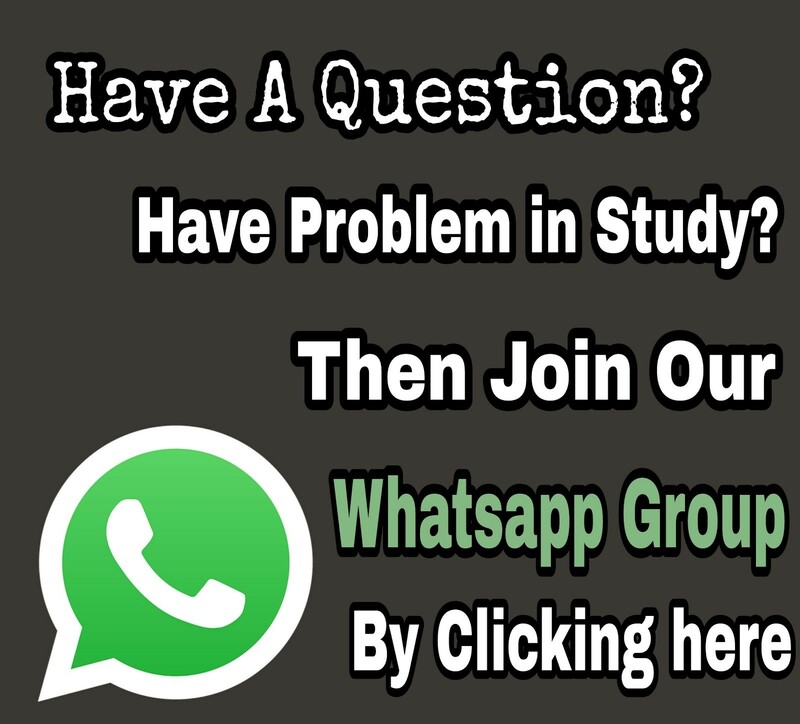 Candidates must have more than Aggregate 65% Marks in Madhyamik Exam and admitted in Higher Secondary studies, 60% Marks in Higher Secondary Exam and admitted in Under Graduate level studies, 55% Marks for Under Graduate Students who admitted in Post Graduate level of studies. Only Last Given Board Exam Results will be Judged. 4. Candidates who Got 75% or Higher Marks in Recent Board Exam are not eligible for this scholarship. 5. Students who already have any Govt. Scholarship is not eligible for this scholarship. 6. Students family Income should not cross Rs. 60000/Year. Application Starts: After Announcing result of Board Exam. Marks needed for Scholarship: At least 65% in the Last Board exam. Students who recently passed last board exam and took admission in next study level should apply as a fresh candidate. If the Student already applied for the Chief Minister Scholarship, then he/she should apply for renewal application of CM Fund Scholarship. Candidates can apply for this scholarship via two methods either through Application or through Writing on White paper. Candidates can apply for Chief Minister scholarship 2019 only in offline mode. Read more to know about the application process of CM Fund Scholarship 2019. 1. Write an Application Letter in white paper , or Download Application form in Chief Minister Scholarship 2019 website. 2. Visit www.wbcmo.gov.in and click on Donation tab and Download Chief Minister relief fund Scholarship 2019 pdf. 3. Fill the application form with correct details of yours, or application letter with correct details. 4. Attach all the Important documents which are given below with application form or application letter. 5. After completing all procedure send you Application Letter or Application to the address given below. Chief Minister Scholarship 2019 is given on Merit basis. After submitting the application to the given address, they will send you an invitation letter to your address. An invitation letter will be sent to you in between 3 -6 Months after submitting the application. After getting the invitation letter, students have to go Nabanna or Uttarkanya for the scholarship, and they will give you a check of Rs.10000. Chief Minister Scholarship 2019 starts after announcing last board exam result. There is no official Last date of Chief Minister Scholarship 2019. Unofficially this scholarship ends right after 31st December 2019. 7. Recommendation Copy of MLA or MP. For any info of Chief Minister Relief Fund Scholarship, you may contact Nabanna or Uttarkanya.